In Flamenco music, artists speak of Duende — the magical moment in a performance when the spirit of Flamenco comes out in the dance, song, or rhythms of the guitar. I am not sure what the culinary equivalent is, but last week at a special dinner in Oakland, I tasted the Duende that was created in Camino’s kitchen to honor Chef Marcus Samuelsson. And by the end of the evening, I was inspired by a truly memorable meal. Thanks to a tweet by Omnivore Books, I found out about the event just before it sold out. 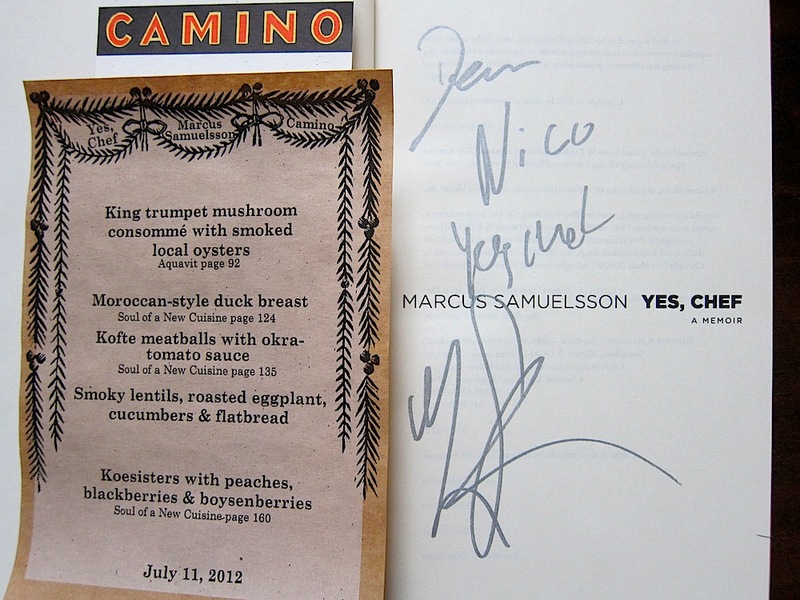 And after picking up a copy of Yes, Chef and learning more about Marcus, I knew I had to go to the dinner. 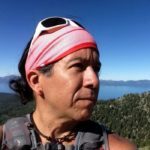 In many ways, his story reminded me of the cultural fusion in Peruvian cuisine, and I could only imagine the wonderful flavors that awaited from someone who was born in Ethiopia, grew up in Sweden, apprenticed in France, and now has a restaurant in Harlem. The five-course menu for the evening was selected by Camino’s Chef Russell Moore, who told me that he chose dishes by Marcus that could be prepared in Camino’s kitchen which featured a fireplace as the center piece — perfect for grilling the duck breast. Throughout the evening, eating each dish was like listening to a song that told a story about Marcus, about where he came from, and about spices from around the world that were as diverse as his background. It was also a pleasure to hear Marcus talk about the cultural parallels between Oakland and Harlem and what a privilege it was for him to be with us that night. I hope he realizes that the privilege was ours to have him share his love for food with us. And I hope he comes back soon, Oakland is only a bridge away from San Francisco but I won’t hesitate to make a special trip to the Red Rooster in Harlem to enjoy more meals from one of my favorite chefs.